My favorite part about winter is probably the fashion. I always loved breaking out the snowpants as a kid so I could go sledding...I've since traded that in for a peacoat and nice scarf but still...the principle is there. 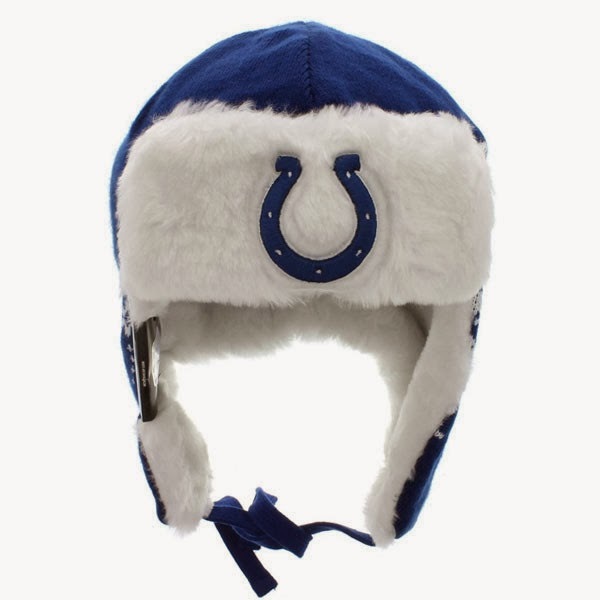 I always loved these hats and definitely had the all black Kyle from South Park joint but New Era does the colts some justice with this Snowflake Trapper. 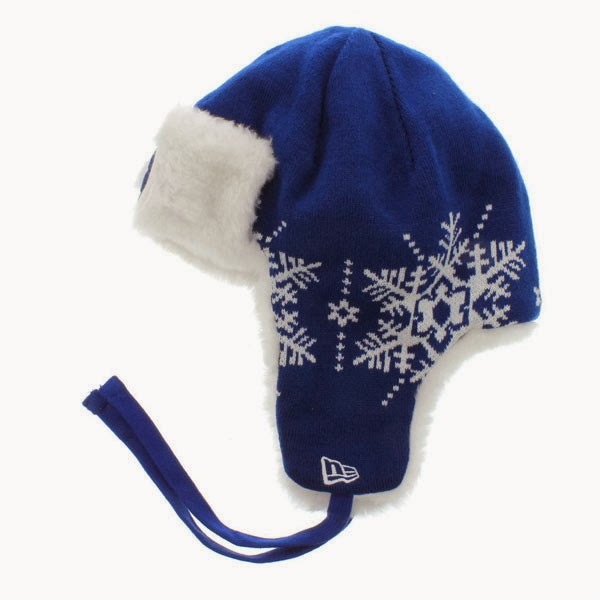 Acrylic with a polyester faux fur lining, so you PETA members can still enjoy this.